Brock Lesnar, who is scheduled to defend his WWE heavyweight champion title against Roman Reigns at Wrestlemania 31 this weekend, went on SportsCenter today for an interview with Michelle Beadle. Once there, he announced that he had re-signed with WWE, and will not be returning to UFC. If Lesnar's contract situation had remain unresolved, it would've led to an uncomfortable situation for WWE, with fans figuring that the champion was set on leaving and thus that the Wrestlemania main event's outcome was preordained. 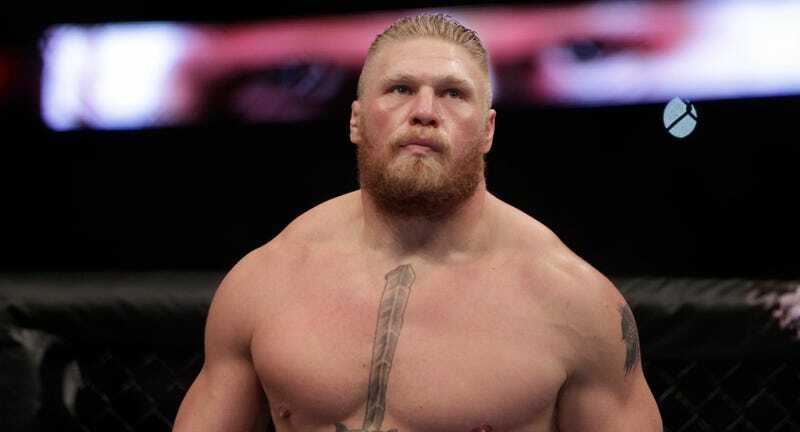 Lesnar's storyline still well may see him losing to Reigns at Wrestlemania, but some doubt has been introduced into the equation, and with a new contract in place, all seems well both for WWE and its champion. How Many Wild Animals Die Of Old Age?